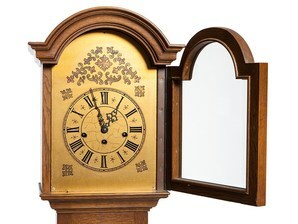 Service calls can be made to all grandfather clocks in home. If your clock is not functioning properly we can send a technician to evaluate the problem. A $79.95 service call includes evaluation, cleaning and lubrication. If more substantial work is needed an estimate for in shop repair will be quoted. carefully prepared to be moved out of town?